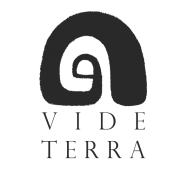 The Cal-Earth Institute (Californian Institute of Earth Architecture) in collaboration with Vide Terra organizes a SuperAdobe workshop in Italy. This 8 days intensive course teaches how to apply the SuperAdobe/earthbag technique for a dome construction. The workshoppers will receive an official certificate of completion from the Cal-Earth Institute. During the workshop it will be built a 2m (internal diameter) earth dome with a door opening and a window. The purpose of the course is to give the theoretical and practical tools useful to design and build a small earth structure or living space. ​For 10€ per day it will be provided an apartment with multiple beds and breakfast included. With additional 20€ per day there will be provided also 2 meals (lunch and dinner). The workshoppers are free to provide themselves with a different accommodation and meal solution.